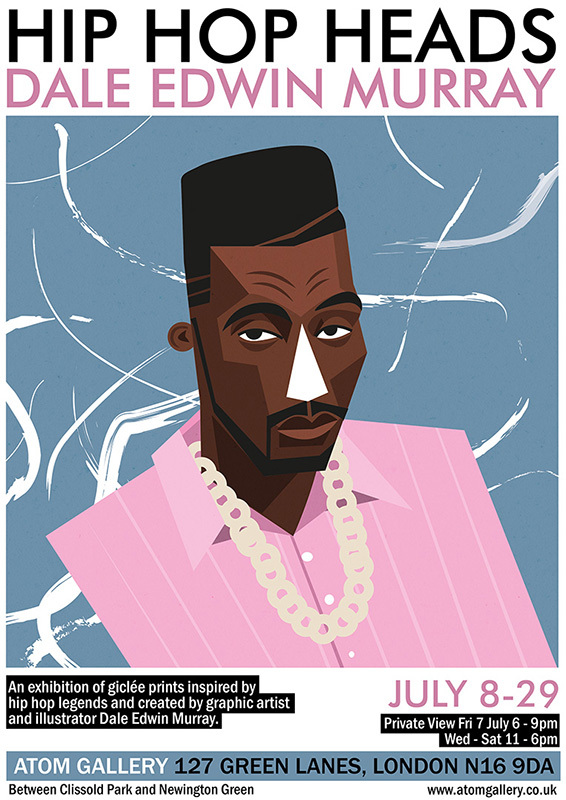 Graphic artist Dale Edwin Murray began the ‘Hip Hop Heads’ portrait series as a way to practice his caricature skills during downtime from his work as a successful illustrator, with international clients including Nike, Toyota, Facebook, The Observer (London) and The New York Times. The ‘Hip Hop Heads’ collection has grown steadily over time, and now features over 50 hip hop and rap legends, but each print is titled with a number rather than a name, turning the collection into a fascinating game of hip hop Guess Who? This exhibition was the first time the collection was shown together. Subscribe to the Atom Gallery newsletter for news about forthcoming exhibitions and new limited edition prints.